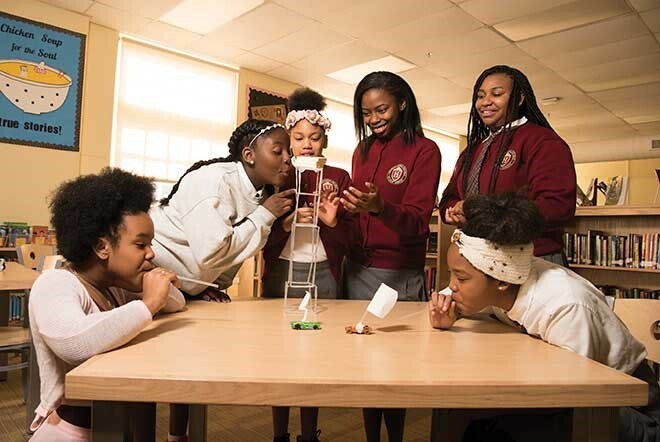 Like a close-knit family, students and faculty at Hawthorn Leadership School for Girls set aside time to share news, recognize accomplishments and deepen relationships. This happens twice daily: at the school-wide Morning Meeting and at lunchtime in smaller advisory groups. The focus here is on educating the whole girl, with strong supports in place to ensure each student builds self-esteem, develops healthy relationships and makes good choices, says executive director Mary Stillman.